Don’t you hate it when, after spending hours driving and hiking to an amazing spot, you realize that you missed the sunset by 15 minutes? Or the scene of the Milkyway over an iconic mountain is ruined by a full moon?. Those are the moments when you truly understand the importance of planning and scouting in travel photography. For a long time, traditional in-person scouting was the only way to go. You visit the location in advance and spend a day or two getting familiar with the area to pinpoint the best spots, angles and timing. This approach still works, but it is extremely impractical for travel photography especially when it comes to long driving trips. When I go on a long driving trip, my goal is to visit one specific location every day of the trip. With traditional scouting, this would double or even triple the length of my trip, which is both impractical and expensive. Lucky for us, technology has reached a level where traditional scouting can be complimented by or even completely replaced by virtual scouting. It can even be done prior to the trip! For a long time, my scouting routine was an evolving process where I tried to keep up with the latest technological advances. But, in the last few years, my scouting process finally reached a level where I no longer actively look for shiny new tools or apps. I am so happy with my current method that I can’t wait to share it with you! The center of my photography trip planning and scouting routine is the Evernote app. I use Evernote as the primary repository for all the information I gather. I am sure that you can use any cloud service for information gathering, but the combination of Evernote’s desktop program, web app, mobile app and web clipper makes it incredibly easy to collect and organize different types of information from various sources. 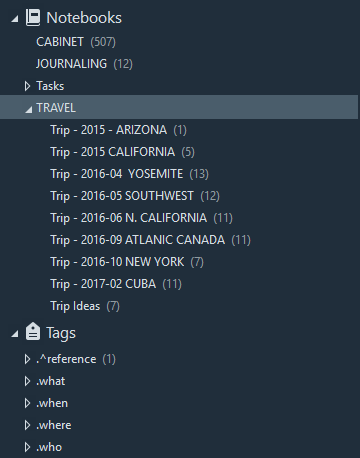 For each future trip, I create a folder in Evernote where I store everything useful or related to the trip. I start collecting ideas for future trips far in advance—six or even 12 months before departure. When I see something interesting online related to my upcoming trip, I simply save it to the trip folder in Evernote. It can be an interesting photo, a blog post, a YouTube video, a PDF or a photo of an article from a print publication. A few months before the trip, I start actively and intentionally looking for more ideas. My favorite place to generate ideas and find inspiration is 500px.com. You can use Flickr or Google Photos, but I find that I often have to go through hundreds of uninspiring photos and selfies on Flickr to find something interesting and creative. The 500px library has the best ratio between quality and quantity of photos. Plus, it has one very interesting and unique feature that separates it from the competition. For example, let’s say that as part of my Southwest driving trip that I plan to visit Zion National Park and I want to find the most interesting spots beforehand. 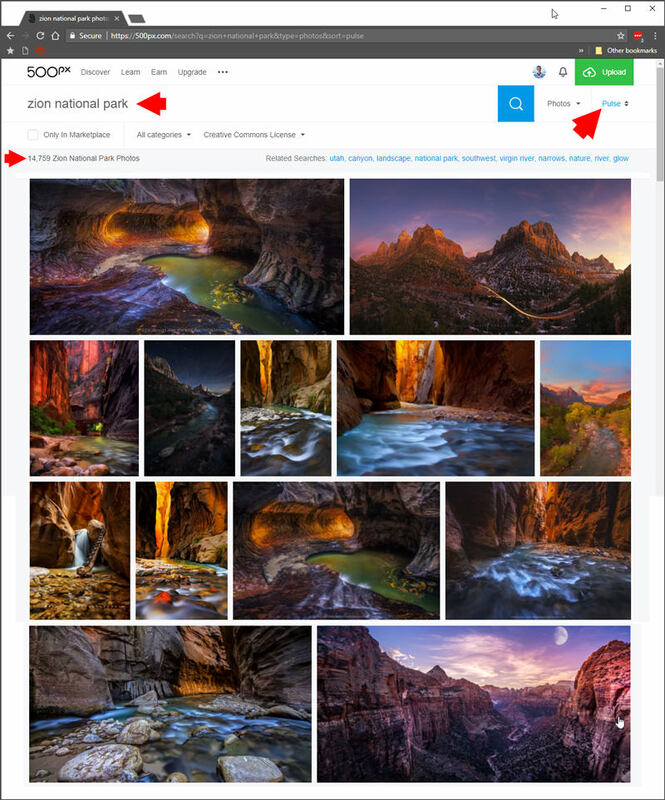 I go to 500px.com and use the search term “Zion National Park.” By default, 500px shows results based on relevance. This is when 500px’s most useful feature comes into play—I go to the filters and change the sorting to PULSE. The photos are rearranged by quality based on user voting and number of views. Priceless! From there, I start looking for ideas. It can be anything from attractive lighting and creative framing to an original location and so forth. Here, I can find examples of night shots, golden hour shots, winter shots, anything I want. It gives me ideas for what to expect from this location. Every time I find something interesting, I use the Evernote Web Clipper and save the photo to the trip folder in my Evernote cloud. I also make sure the photos I select have GPS coordinates so that I can later pinpoint their exact location. By this time in my scouting and research process, I have a general understanding of the locations I want to visit and what types of shots I expect to achieve. In the third step, I identify the details—the exact spots, the best time of day for shooting, access routes, parking spots, the position of the sun and, sometimes, even the exact place to setup a tripod. My favorite tool for achieving all these tasks is Google Earth’s desktop app. The desktop version of Google Earth offers an unprecedented virtual reality experience as well as some unique features that are not present in the mobile or web versions. 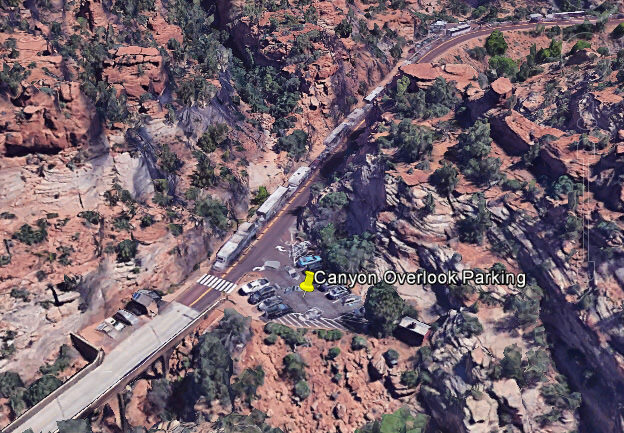 Let’s say that the first spot in Zion National Park that I want to visit is Canyon Overlook Trail. After discovering some stunning views taken from the Canyon Overlook Viewpoint on 500px, I mark it as a must visit location. I use the GPS coordinates I gathered in the second step and input them into Google Earth. I start exploring the area around the Canyon Overlook Trail to discover access points. I use “Placemarks” to mark the location of parking, the Viewpoint and another spot along the trail where I want to create an HDR panorama. 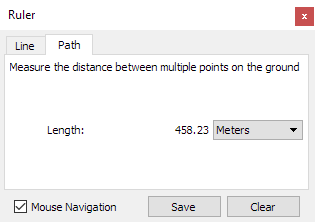 Next, I use the “Ruler” to estimate the distance from the parking area to the Viewpoint. Now, I am ready to switch to the Ground Level View so that I can use the 3D navigation to evaluate the angles of my shots and the ideal position for my camera and tripod. Finally, the most valuable and fun feature of Google Earth is “Show Sunlight.” This allows me to evaluate the lighting for any given day in the past or in the future at any given time. For example, if I plan to travel there in one month, I set the day of my future trip by moving the Time Slider. I can then see how the position of the sun will affect the lighting of the scene with the shadows and highlights. If I am planning a night shot, I can see the position of the Milkyway anytime during the night. This is when I create a Master note in Evernote and start logging all the locations and ideas associated with each point of interest. When I am finished with the locations, I mark the note as a favorite and pin it to the home screen of my smartphone for easy access. When you travel to remote locations, the chance that you will have an internet connection everywhere you go is very slim. The combination of Google Maps and Evernote helps me access all my scouting information offline. A few years ago when Google introduced its offline navigation feature in Google Maps, it completely changed the way I travel. Now, all I do is download maps to my phone of the areas where I plan to travel. I can enjoy turn by turn navigation even when there is no internet connection. In this step, I add all the locations I identified in Step 3 to Google Maps. Unfortunately, there is no way to synchronize the Placemarks in Google Earth with Google Maps. I have to do it manually, but it barely takes any time at all. I open Google Earth on my left monitor and open Google Maps on the right monitor; then, I start adding the new locations to Google Maps using the GPS coordinates from Google Earth. I save each location using the Star Button and, if necessary, I add a short description using the Label field. When I am finished, I download the areas of the map for offline navigation. Now, when I am on the road without an internet connection, I can access all my saved spots and, if necessary, use turn by turn navigation. Although virtual scouting is an amazing approach to plan photography trips, you simply cannot plan everything. I aim to plan around 70 to 80% of my trips and leave the remaining 20 to 30% for freestyle exploring. For example, one of my favorite tricks for finding interesting spots during my travels is postcards. Each time I stop at a gas station, I glance over the racks of postcards and, if I see something interesting, I buy it. At the end of the day, I try to pinpoint the exact location of the spot using Google Maps and Google Earth. Then, I make the correction to my trip. I discovered Cape Tryon in Prince Edward Island with the help of postcard. Another useful tip for finding interesting spots in National Parks is to talk to the Park’s employees as they always have interesting ideas and are incredibly familiar with the area. The Kolob Terrace Road was suggested to me by park employee of Zion National Park. It was not part of my original planning. It is impossible to overestimate the importance of scouting when you are planning a photography trip. There is a direct correlation between the time you spend scouting and planning to the quality of photos you produce during the trip. When photography scouting is done right, the only variable you must deal with is the weather—the rest is simple execution. How Much Should I Spend on My First Camera? Excellent article, Viktor! Thank you for the helpful planning tips. Cheers!